A buzzing courtyard filled with live music, a glass in hand… and a whole lot of beautiful, glistening things. If all Christmas shopping could be this enjoyable, I’m in. 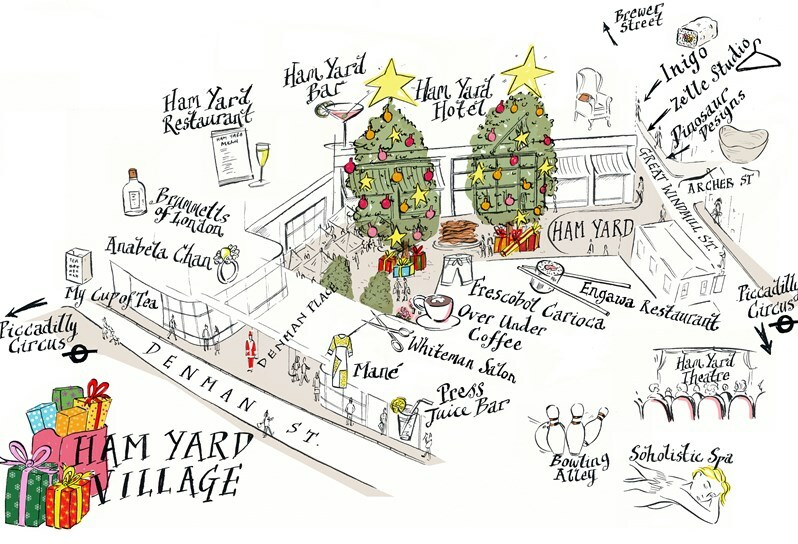 *Enter Ham Yard Village* on Wednesday 6th December the boutiques will be open late (6pm – 9pm) for shopping, exclusive offers and scrumptious festive food.